If your usually well-fed dog or cat is refusing food, it’s time for the veterinarian to check things out. Read this article if your pet won’t eat. It’s a pretty common happening. When the Labrador Retriever who lives to eat ignores tempting treats he’d normally raid your pocket for, then you know something is wrong. But if this happens to your pet, what can you do? 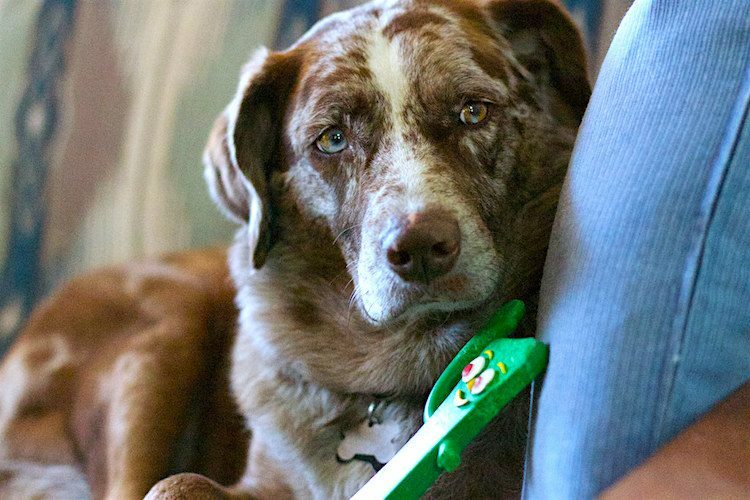 If your pet has stopped eating food, you may be wondering what to do. This article is for you. First, did you know veterinarians have different words to describe loss of appetite in a dog or cat? 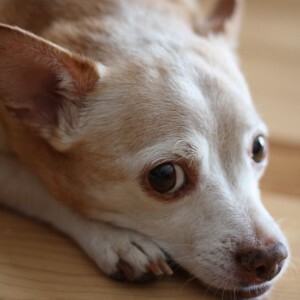 Hyporexia means the pet has a decreased appetite. Dysrexia means a change in the dog’s eating patterns or preferences. Anorexia means the dog has no appetite. Often, one of my clients is aware of a change in their pet’s appetite and makes a vet appointment just for that reason — but not always. At an annual checkup, for instance, many people are surprised to learn their dog or cat has lost weight. Has there been any change in the pet’s weight? If so, how much weight has the pet lost or gained in what period of time? That may be one of the biggest clues in how we begin our exam. If a dog or cat exhibits weight loss, it’s important for the vet or veterinary technician to ask many questions about changes in appetite in the pet. 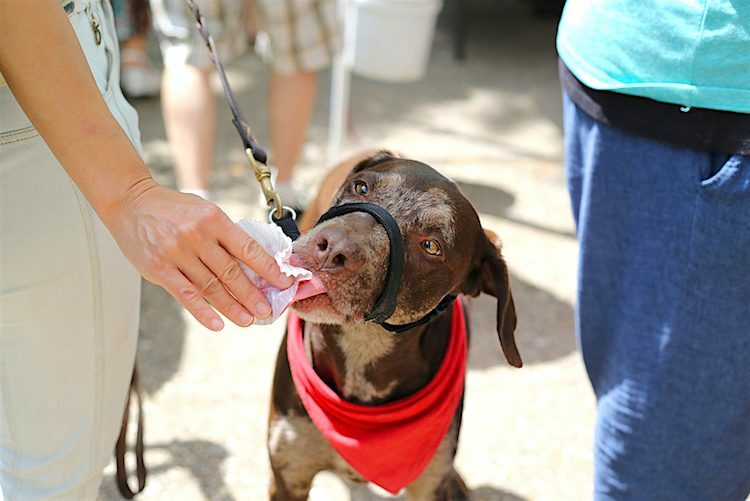 Sure, it might be the heat, but most dogs want to eat even in 90-degree weather. Let’s take the example of Jedi. His concerned human came in yesterday, 2 days after Jedi had some rotten teeth removed. Now Jedi was bright and waggy at the re-exam, but his human was tight-lipped and worried because Jedi hadn’t eaten since getting home. This was puzzling. Jedi had wolfed down a whole bowl of food in our hospital after his procedure, and now in the clinic he was taking treats with gusto. Reassuring the human that Jedi was fine, I dug a little deeper. It turned out Jedi normally eats dry food, and now the person was giving soft canned food because of his sore mouth. She was leaving the food down all day and not offering another meal because he still had food in the bowl. The trouble was, the food had gone dry and unappetizing in the heat — so Jedi turned his nose up. Now Jedi is to have 2 meals a day of fresh food, left down for just 15 minutes and then thrown away if not eaten. The lesson here: Simple things can put a pet off their food, so be sure to address the obvious things first when it comes to loss of appetite in your pet. Pet food and feeding are so important to most people. 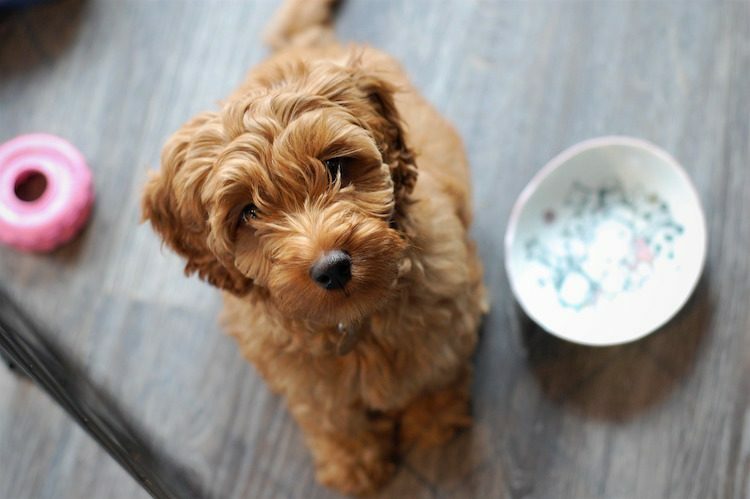 Yet many people wait too long when their dog or cat changes eating behaviors or has an obviously decreased appetite, or when the pet has stopped eating food entirely. If your pet has a change in eating behavior or loss of appetite, we need to get to the cause. There are may reasons why a cat or dog is not eating normally. Once we get to the cause, hopefully we can turn everything around. The longer your pet isn’t eating normally or is truly anorexic, the harder it is to get them back to health. Starvation on any level makes everything worse. Prolonged inappetence can be devastating to the body. Some pets are fussy eaters, and not eating for a day is normal. For these guys, I wouldn’t make a big fuss (this rewards them for not eating). But do monitor them from afar. Chances are they’ll come right back to the food when they’re hungry enough. It’s the chow-hound who refuses their supper that I’m most worried about. This is because appetite loss can be an important clue that the pet is unwell. If it’s a dog, follow them into the yard and check out the pee and poop. Then schedule them for a vet check. Remember, lack of appetite in a dog or cat is a symptom. While tempting the pet to eat is a great idea, they almost certainly need to see a veterinarian for diagnosis and treatment of the underlying condition. Take Jedi: He had a bad toothache and so refused to eat. Now that the rotten teeth are gone, he’s rediscovered his mojo. If your pet is eating poorly, eating selectively or eating a completely imbalanced diet because of a poor appetite, this puts them in a catabolic state, meaning their body is slowly breaking down. It also makes them a poor candidate for surgery if surgery is indicated to address the primary problem. Simply stated, if your vet is going to succeed at diagnosing and treating the reason for the lack of appetite or anorexia, the length of time they have been in this “breaking down” state gives us less chance of success all around. 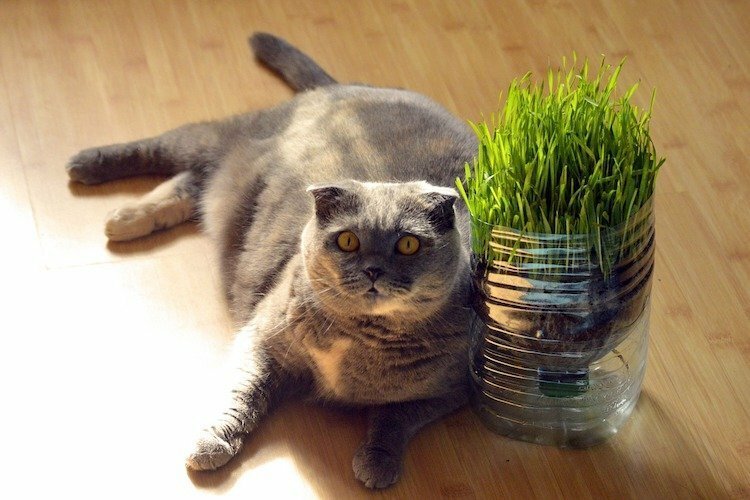 When a cat doesn’t eat for more than a couple of days, they risk a complication called fatty liver disease. This is where their body scavenges energy by mobilizing fat supplies that then flood the liver and stop it from working. For the cat who is determined not to eat, something is often better than nothing (although speak with your vet about your individual pet). But know that their favorite high-fat chicken skin is absolutely a last resort. Depending on the diagnosis, some foods may be off the menu (such as fat with pancreatitis or a rich protein with renal disease), but if your cat is starving, then the scales may tip in favor of a compromise. Dogs, however, come to less harm if they “starve.” Yes, a dog loses weight, but they are unlikely to spiral into liver failure like a cat. So if your vet says your dog with a stomach upset must only eat bland food, don’t tempt the dog with liver or sausages. In this case, it’s best to let the gut rest than risk diarrhea. Let’s say your dog or cat was unwell and spent several days hospitalized at the vet. They’re now well enough to come home —but your dog or cat refuses to eat. Why might this be? Remember that time you had a curry that made you sick? Now, even the thought of a curry turns your stomach. This is called food aversion — it’s when you associate a particular food with feeling ill.
To overcome food aversion, try offering a new food the pet hasn’t eaten before. This food doesn’t have any “bad memories,” so your pet is more likely to eat. Try a different feeding bowl, perhaps placed in a different location — again, to break the link with feeling unwell. It might be the pet is on the mend but still feels nauseous or has pain. Sometimes a sick pet simply doesn’t feel like eating. However, they would benefit from eating — it provides the raw materials to strengthen the immune system and for tissue repair. Other tips and tricks include warming the food or adding scrumptious flavorings such as a bit of fish gravy, parmesan cheese or a sprinkling of garlic oil (use small quantities only, because large quantities can be harmful). Drugs that stimulate appetite: These include diazepam, cyproheptadine, mirtazapine and steroids. A new drug, carpromorelin, is on the horizon. Syringe-feeding: Calorie-dense liquid diets may be the answer. These can be slowly syringed into the pet’s mouth to get them to take some nutrition. Feeding tubes: If syringe-feeding is too stressful for the pet, the vet may consider placing a feeding tube in the nose, throat or stomach. This gives direct access to the stomach for force-feeding that doesn’t distress the pet. If the vet doesn’t ask enough questions, then big changes in appetite or food preferences might go undetected because the person considers these variations as normal. And let’s face it: If you’re too vague in answering these questions, can the vet get frustrated? You bet. If the loss of appetite in the dog or cat is real or unreal. If it’s significant or insignificant. If it’s hyporexia, dysrexia or true anorexia and for how long. The person’s perceptions of their pet’s appetite. An accurate account of what exactly the pet is eating. Vets will also ask you to bring in labels from pet food bags or cans, as well as accurate measurements of each food item. Food is the fuel that powers repair of body tissue. Without that fuel (food), recovery from injury or illness is slower and complications are more likely. Veterinarians take a pet’s appetite, diets and changes in weight very seriously. Your local vet is not, most likely, a board-certified veterinary nutritionist, but our profession has taught us to be as scientific as possible about your pet’s nutritional needs and if they are being adequately met. Veterinary nutritionists want us to do a full nutritional assessment in all our exams — a near-impossible task when it’s difficult to figure out what and how much the pet is actually eating. Clients may actually get angry at vets when we ask too many questions about diet that can’t be answered. We’re not trying to make you feel inadequate or careless — we’re just trying to find out the nutritional status of the pet so we can intervene earlier, not later, if there’s a problem. 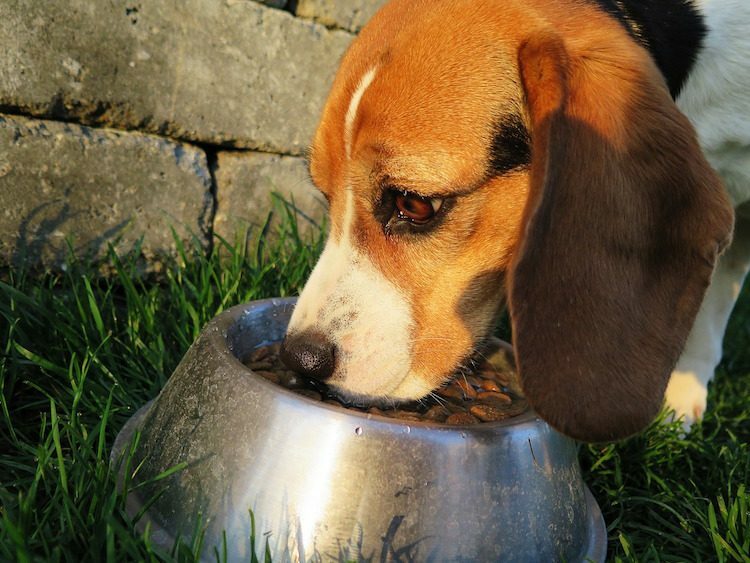 Has Your Dog or Cat Stopped Eating Food Normally? Don’t Wait. I’ll end with a syndrome I’ve seen far too many times. This one breaks my heart. I have a client who loves her dog. The dog hasn’t been eating normally or well and has been anorexic for too long. The woman is terrified there is something really wrong, but instead of early intervention, she waits. She doesn’t want bad news, so she lets her dog get into a broken-down state where the dog’s poor appetite has just made everything worse. A poor appetite or anorexia in a dog is not a death sentence. Yes, it might be serious. Yes, it will require a work-up and diagnostics to get to the bottom of it. But your pet has a greater chance of resolving the poor appetite or the primary disease if we get to it early. Don’t wait until your dog or cat has stopped eating food completely. Let’s get them back to their normal selves as soon as possible. This pet health content was written by a veterinarian, Dr. Pippa Elliott, BVMS, MRCVS, with contributions from Dr. Debora Lichtenberg, VMD. It was last reviewed Jan. 25, 2019.